Oh Yeah! Jimmy’s a Professional! 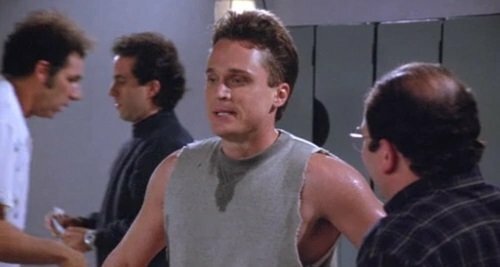 One of the Seinfeld show’s 169 episodes featured plyometric shoe salesman Jimmy. Jimmy used his shoes to out-jump his opponents on the basketball court, meet people, namely Elaine, and ultimately end up in a fight with Kramer. He spoke in the third person. The entire episode. A lot like many LinkedIn profiles. The entire profile. If you’re job searching on LinkedIn, you need to stand out on LinkedIn so potential recruiters and hiring managers see you and connect with you for interviews. That means you should do everything you can to stand out. One simple way to do that is to write your profile in the first person, as another human being. “Jimmy can sell”, “Jimmy can manage your projects”, “Jimmy is skilled at planning, organizing, leading, and controlling”; or “I led this project”, “I developed this program”, “I bring value to companies just like yours by doing X, Y, and Z”. You can use this 1 simple technique of writing in the first person to help your LinkedIn profile stand out to your reader, help you connect to your reader as a human, not a profile, and help you make sense to your reader. These three results can combine to have a huge positive impact on the number of interviews your electronic cover letter, i.e. your LinkedIn profile, can return for you. First, you stand out! That’s key when you consider LinkedIn currently has about 467 million users. If your profile doesn’t stand out, it blends in to the 15 the recruiter or hiring manager saw before it while searching for a candidate, and it looks like the 13 he or she will look at after it. Make them stop. On you! Speak in the first person. Second, speaking of you, you become a person! Not just another LinkedIn profile. If you’re talking to me in first person, you’re telling me your story, from one person to another. You’re creating a warm, personal connection. Now when I leave your profile, I’m leaving you, not just another profile. You have a name, a face, a human story, and we, as social creatures, like that. You’re memorable. Conclusion. The social proof is in; you should have a LinkedIn profile, and it should stand out. 1 quick, easy way to do that is to write your profile in the first person, not the ubiquitous third person a lot of other authors use to present their profiles in. You’ll stand out, connect with your reader, and make sense for your reader. 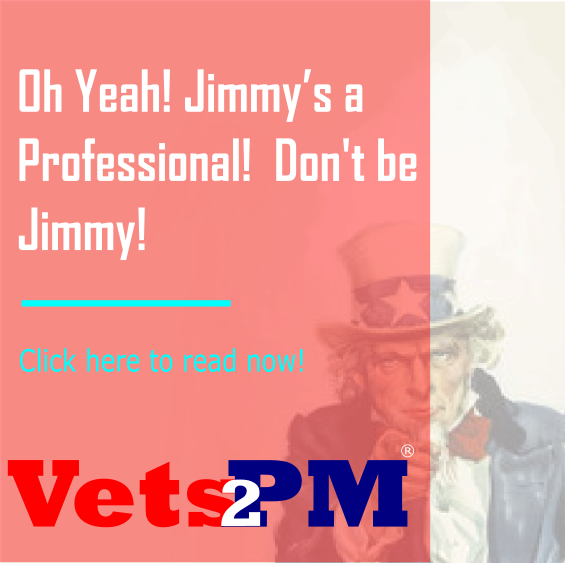 Don’t be a Jimmy! Be a YOU! Eric is a decorated two-Service, two-Era US Military Veteran; Serial Founder; experienced, credentialed project manager and PMI Chapter-recognized mentor; and an entertaining instructor/public speaker on project management, deep learning and the military transition, PMI’s PMP® and CAPM® exams, Vetrepreneurship; and project manager development. He helps Military Veterans change their lives profoundly through project management, entrepreneurship, and AI through inspiration, translation, training, and placement. 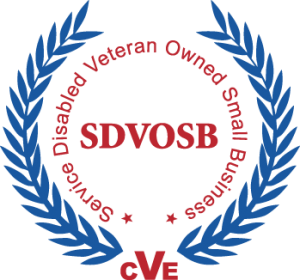 For more information, please visit https://www.vets2pm.com, www.militaryvetstone.com, and www.linkedin.com/in/docwright2012.